Independence Day weekend saw the family and me visiting my folks in New York’s Hudson Valley, in Saugerties to be exact. And while the parade and the fireworks were the highlights of the day on the holiday, I took advantage of the late night on the 4th to head out and look for some birds on the morning of the 5th. 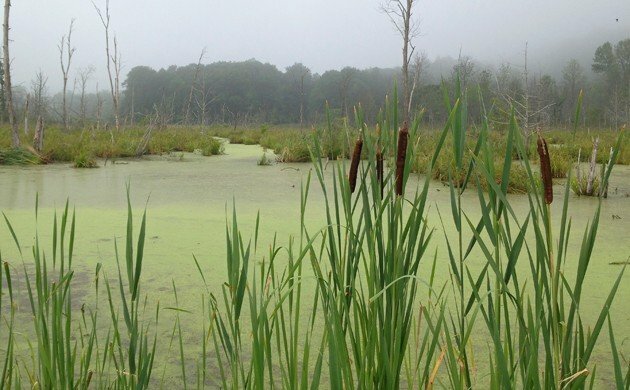 One of my favorite stops when visiting Saugerties is the Great Vly, the county-spanning wetland that is great habitat for a variety of birds. Despite the early morning fog, I had a great visit, not leaving West Camp Road, which bisects the southern end of the vly. 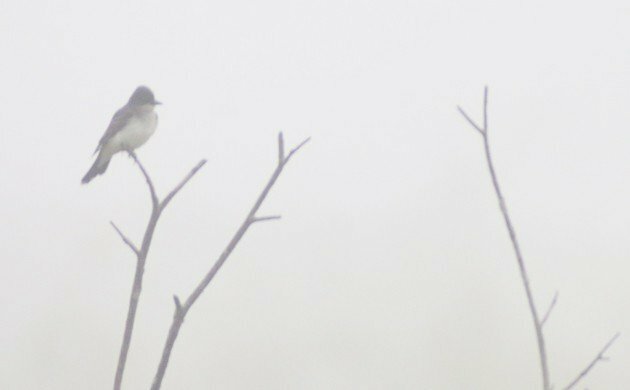 It’s a good thing that Eastern Kingbirds are essentially monochromatic, as I didn’t miss much by seeing this one in the fog. I was hoping to see or hear rails and bitterns, as my list of such species in New York this year is rather pathetic. 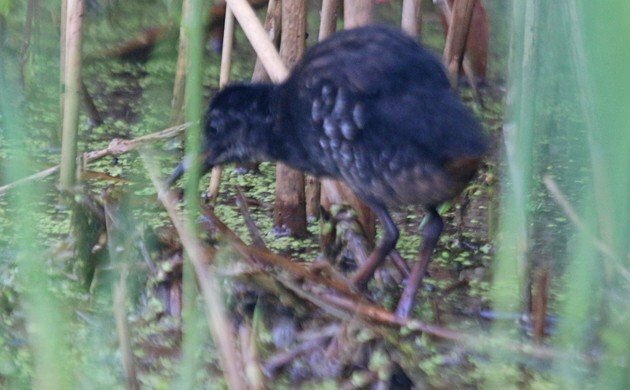 It didn’t take too long from my arrival for me to hear a Common Gallinule cackling maniacally, though it wouldn’t show itself for the entire two hours I was there, despite calling repeatedly. It’s amazing how shy they can be in New York when you consider that they practically throw themselves on you in Florida. 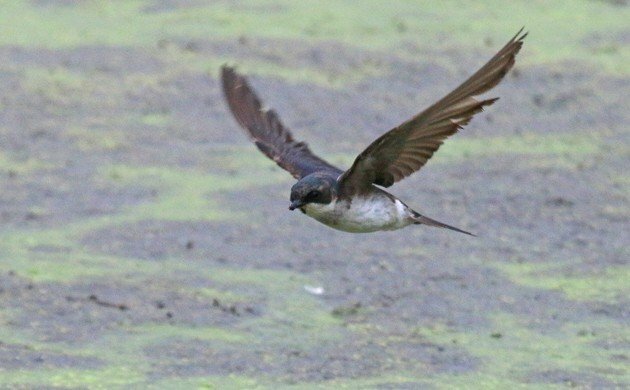 Instead of rails, I focused my binoculars and camera on swallows, of which there were three species present, Barn Swallow, Tree Swallow, and Bank Swallow. It was clearly a good year for swallow reproduction at the vly as family groups gathered on overhead wires and dead snags and the sheer volume of swallows was pretty impressive for a non-migratory gathering. The fog kept the bugs grounded so I had the pleasure of watching and trying to photograph swallows skimming bugs off the surface of the water, a feat not made easier by the light-blocking fog. This is the only shot I got that is remotely presentable. And, of course, as is to be expected in a freshwater wetland upstate I was entertained by the antics of Green Herons, of which there were several hunting, chasing each other, and just being Green Herons. And how can I not appreciate that? They’re not the ABA Bird of the Year for nothing! But the undisputed highlight of the morning came when I noticed some movement at the edge of the road, where a thick stand of phragmites comes up nearly to the pavement. It was a small, dark bird that quickly ducked back into cover before I could get my glass on it. I repositioned myself and waited for a bit and was rewarded by the sight of first one, and then two, young Virginia Rails! I had never seen the young of this species and was pretty psyched to watch them go about their business. They were skittish though, and never came too close, though I did manage to get a few images. Mostly I just watched them because, you know, baby rails! All too soon it was time for me to head back to my folks’ house before everyone woke up and wondered where I was. Though the outing was short it was well worth the early morning awakening and I can’t wait to see what the Great Vly has for me the next time I visit! If it wasn’t for that boring heron, I’d have enjoyed this post. Next time, find a YCNH. Cheers. 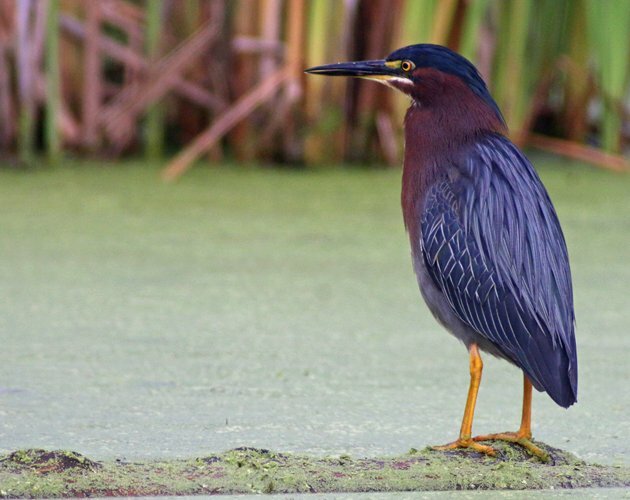 What a beautiful photo of the Green Heron!